The Ironman Triathlon is the grand daddy of all endurance races: We’re talking a 2.4-mile swim, followed by a 112-mile bike, topped off by a 26.2-mile run. And considering that the current World Champ record holder (Craig Alexander, in 2011) clocked in at just over eight hours, the Ironman couldn’t be truer to its name. The term “Ironman” was actually coined back in the 70s from a dispute between military officers over which athlete—the swimmer, biker, or runner—was toughest. Since then, it has grown into a nationally televised event, and this year’s IRONMAN World Championship will be held in Kailua-Kona, Hawaii, on October 13, surely inspiring a new crop of athletes to take on the triple-threat challenge. So how does a guy prepare for such a physically and mentally grueling race? 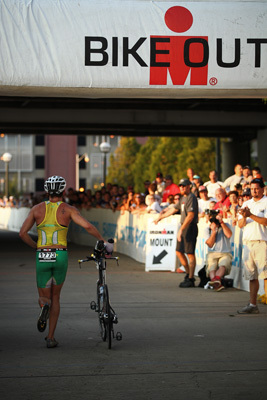 For that, Men’s Fitness enlisted Kevin Mackinnon, managing editor at Ironman and an accomplished triathlete and trainer. 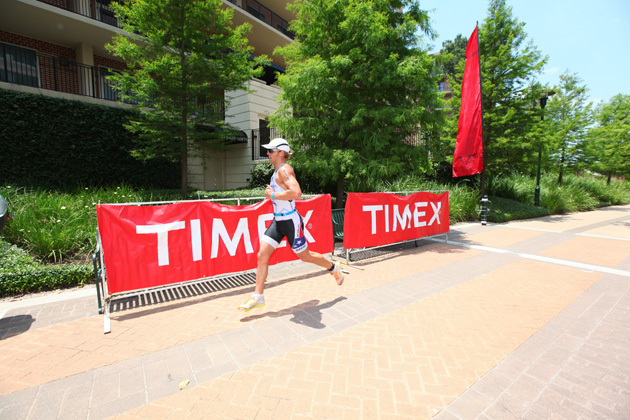 Here, his best tips for conquering the toughest of tough triathlons. According to Mackinnon, the average triathlete trains for 18-30 hours a week, which is like a part-time job: 7 miles of swimming, 225 miles of biking, and 48 miles of running. If you can’t put in a full year, Mackinnon recommends training for at least seven months. An Ironman isn’t something to take on lightly. While the majority of your training will be dedicated to biking, since that is the longest part of the race from a distance standpoint, Mackinnon recommends doing three workouts for each Ironman stage (biking, running, swimming) per week. “When you look at the breakdown of time spent in the race, you want to invest a lot of training in the bike and run,” says Mackinnon. “Still, you can’t neglect the swim. 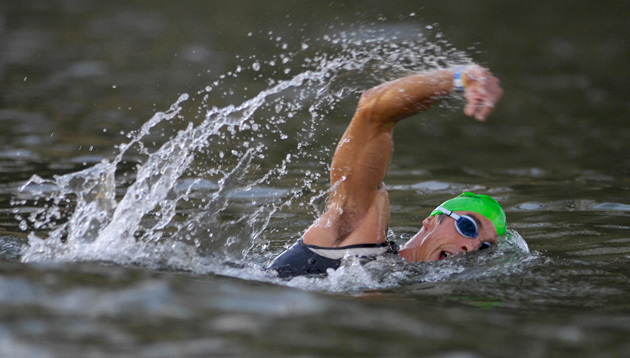 It sets up the rest of your race.” Mackinnon says the best pros finish their swim in just under an hour, giving them a huge advantage the rest of the way. You’re after the resistance training and explosive aerobics a circuit provides, and moving quickly and seamlessly from exercise to exercise will accustom you to transitioning through the stages of the Ironman—which all require you to use different muscle groups. Mackinnon recommends 30 to 40 minutes of circuit training, two to three times a week with a rapid succession of muscle-building exercises in pre-exhausting cycles to keep your muscles sharp.